Archaeologists discovered the bodies of about 800 young children ahead of the construction of a road in Lancashire. They were among 1,967 bodies exhumed at St Peter’s Burial Ground. Read more at BBC. On January 26, 1945, Soviet troops entered Auschwitz, Poland, freeing survivors of German Nazi concentration camps. Read more at History. The death factory at Auschwitz was a closely guarded secret of the Third Reich – until two men, Rudolph Vrba and Alfred Wetzler, escaped to tell the world about the Nazi atrocities. Escape from Auschwitz reveals the story of their escape and explores the controversial decision by the head of the Hungarian underground not to make their report public. Watch Secrets of the Dead: Escape From Auschwitz. January 28 marked the 30th anniversary of the Space Shuttle Challenger disaster. It broke apart 73 seconds into its flight leading to the deaths of all seven crew members. Space Shuttle Challenger was the second orbiter of NASA’s space shuttle program to be put into service following Columbia. Watch a video of a member of backup crew recalling the chilling events of the day on BBC. A cuneiform tablet dating to between 350 and 50 B.C. suggests that ancient astronomers were tracking planets using math believed to have first appeared in 14th-century Europe. Read more at Smithsonian. 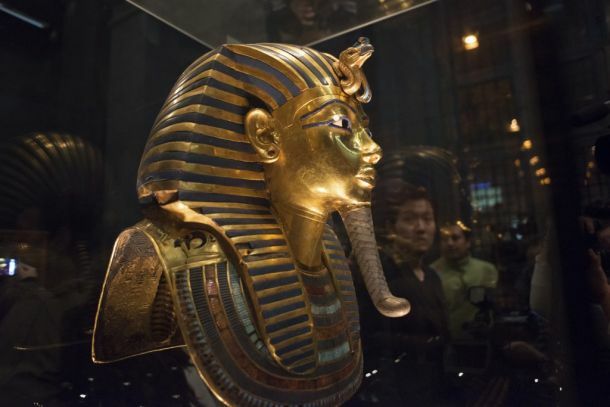 After a botched repair job of King Tut’s beard left scratches on his 3,300-year old burial mask, Egyptian prosecutors have ordered eight museum workers to a disciplinary court for “gross negligence.” Read more at PBS NewsHour.